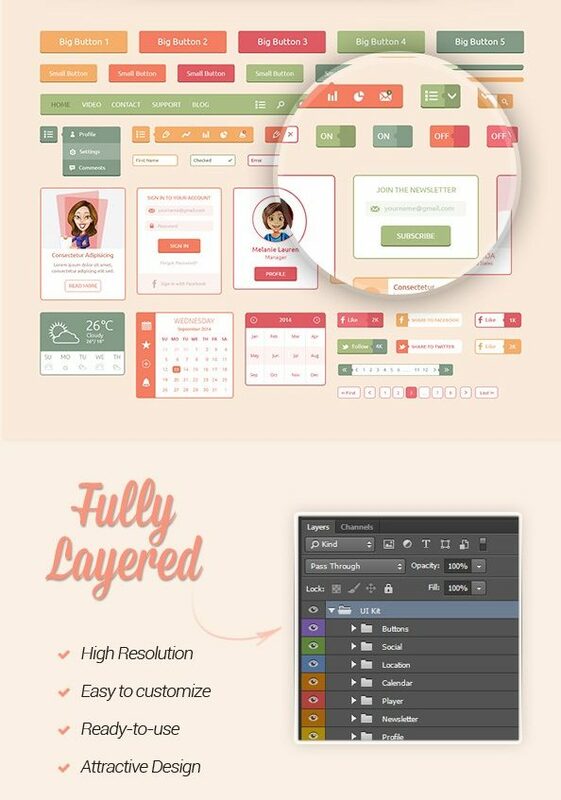 Free psd colorful UI kit set designed in a vibrant color scheme. We did our best to include as much web elements as possible. We assure you that you will find all you need here, just click the download link below and grab the UI set. The items, which are included in the UI kit, are buttons, social, location, calendar, player, newsletter, profile, login, search, slider and more. Download our free psd colorful UI kit now by clicking on the Download button below! Need more free PSD items for your projects? Then be sure to check out our PSD & Mockups section and pick whatever suits your needs.